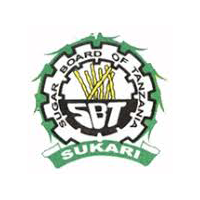 The Sugar Board of Tanzania (SBT) is a regulatory body of the Sugar Industry in Tanzania established under section 3 of the Sugar Industry Act No. 26 of 2001. Key regulatory functions performed by the Board include: quality control and licensing; data collection, analysis and dissemination; market information; enforcement of law and order; making and enforcing rules and regulations for proper production, processing, marketing, importation and storage of sugarcane and sugar inputs and products. Graduate in Computer Science, Information Technology, Computer Engineering or its equivalent from a recognised institution. At least three (3) years of work experience in a supervisory position in a Licensing institution in Tanzania. Assisting the Director of Regulatory Services in fulfilling the licensing and registration functions of the Board. Preparing annual work plans for the provision of licensing services. Preparation of memorandum and other documents for the purpose of issuing regulations orders and rules that may be made. Preparing terms of reference and contract terms for engagement of cane grower registration agents and monitoring the registration process. Registering producers, industrial users and importers of sugar. Maintaining up-to-date registers of cane growers, sugar producers, industrial users of sugar and importers of sugar. Determining maximum quantity of sugar requirement. Keeping proper records of licenses issued as per the Sugar Industry Regulations. Preparing evaluation reports and recommendations on registration and licensing activities concerning the sugar industry. Performing any other duty as may be directed/ assigned by the Principal Regulatory Services Officer. Graduate in Agriculture, Agricultural Economics, Chemical and Process Engineering, Sugar Technology, Business Administration, Economics or its equivalent from a recognised institution. Demonstrated knowledge of both local and global sugar industry is an added advantage. Participating in regulatory activities (licensing, registration, and compliance). Supporting preparation of annual work plans for provision of regulatory services. Implementing approved regulatory services work plans in line with the Sugar Industry Act and Regulations. Processing applications for sugar importation, sugar exportation and sugar manufacturing licenses. Maintaining up-to-date registers of cane growers, sugar producers, industrial users of sugar and importers of sugar. Preparing evaluation reports and recommendations on registration and licensing activities concerning the sugar industry. Keeping proper records of licenses issued and monitoring the use of licenses as per the Sugar Industry Regulations. Carrying out sensitization programmes for stakeholders on regulations and guidelines issued from time to time by the Board and or the Government with relevance to the sugar industry. Performing any other duty as may be directed/assigned. Graduate in Agriculture, Agricultural Economics, Rural Economics or Sugar Technology from a recognised institution. Developing and maintaining links between SBT and stakeholders of the sugar industry. Assists the Senior Development Planning and Liaison Officer in all sugar industry development and liaison issues. Monitoring implementation of the National Development Plan (Sugar sub-sector), the Sugar Industry Development Plan and the SBT Strategic Plan and reporting to the Senior Development, Planning and Liaison Officer . Undertaking pre-investment studies/surveys and soliciting for strategic investors for identified projects. Collaborating with the Sugar Industry Development Trust Fund, Monitoring implementation of agreements between the government and investors in relation to agreed investment plans or programmes. Spearheading the development of Small scale and Household sugar processing projects nationwide. Promoting development and expansion of sugarcane cultivation, production and marketing of sugar and use of sugar by-products. Carrying out Research studies with a view to introduce quality low cost sugar production. Carrying out research in pricing policy for sugar, sugarcane and related products as per Sugar Industry Act. Performing any other duties as may be directed/assigned. Holder of Bachelor Degree in Law (LL.B) from any recognized institution. Registered as an Advocate will be an added advantage. At least 3 years in similar position in a reputable organization. To compile evidence relevant for court cases involving the Board. To assist in taking charge of documents and correspondences of already assigned cases. To assist in dealing with legal routine correspondences addressed to the Board. To assist in administering compliance to the terms of agreements and contracts. To compile a list of amended legislations, regulations and rules. To maintain an updated database of court decisions. Holder of Certificate of Secondary Education with passes in Kiswahili and English must have a valid class C driving license of not less than three years without causing accident and should possess Trade Test Grade III or above/Drivers Grade II Certificate from a recognized Training Institutions. • Ability to work within a team, independently, and to interact with superiors, peers and subordinates. For each post, the successful candidate shall be employed on permanent and pensionable terms. Handwritten application letter with detailed curriculum vitae, certified photocopies of relevant certificates and testimonials together with names, addresses and sealed letters of three (3) reputable and work related referees should reach the undersigned before 3.00 pm on 23rd February 2018. The application should be in English. Interested candidates should include in their applications their full contacts (mobile telephone, e-mail, postal and physical addresses) and details of previous and/or current employment. Only short listed candidates will be contacted. If you are not contacted by SBT within thirty (30) days after the closing date, you should consider your application as unsuccessful.